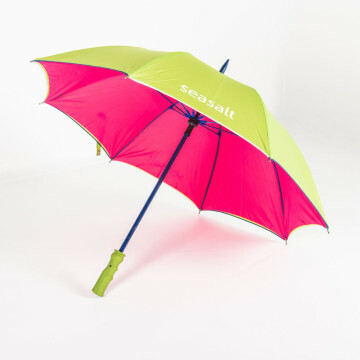 Categories: Golf Umbrellas, Über Brolly, Über Brolly Umbrellas & Parasols. 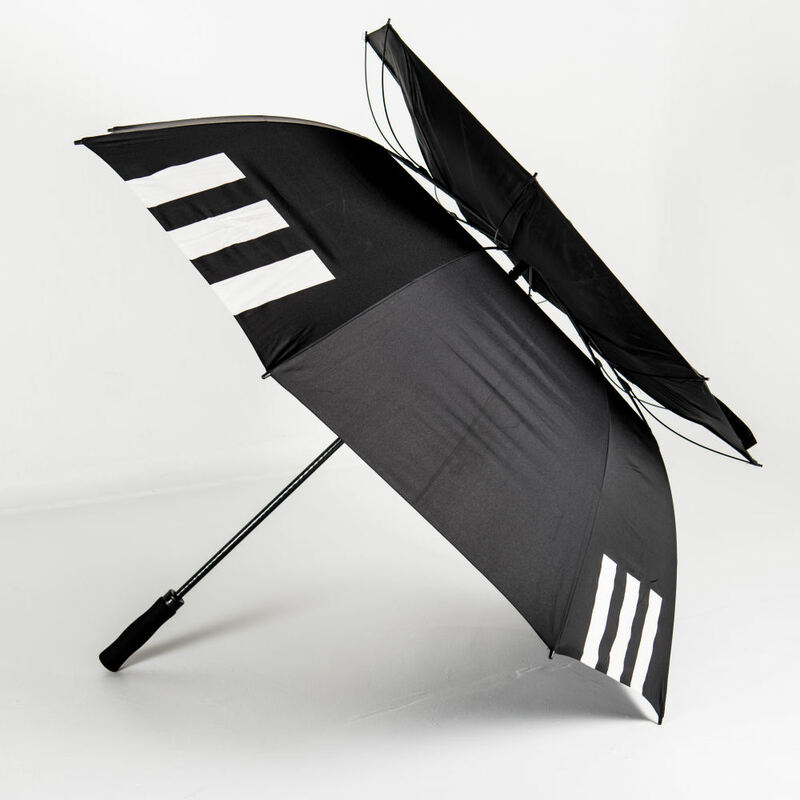 The Über Brolly Mini Golf Umbrella, as the name suggests, is a smaller version of a classic golf umbrella. Its canopy measures 112cm in diameter, rather than the standard 126cm. This makes it ideal for busy events or the city. Great for women too who don’t want anything too cumbersome. Although this is smaller in size you still can rely on the strength and durability of a typical golf umbrella. It comprises of a strong steel shaft and extra strong carbonised ribs giving it rigidity. 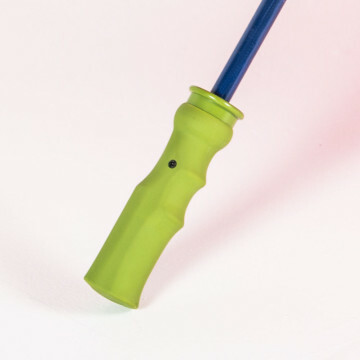 With this umbrella you get a plastic pistol-style handle in a choice of colours with a integrated canopy clip to neatly and securely close the umbrella when collapsed. The Über Brolly Mini Golf Umbrella has a manual safety open and close system. 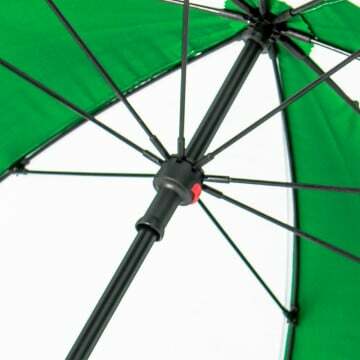 Or browse our City Walker range which is a collection of promotional umbrellas ideal for the city and within events that are tight on space as they have a smaller canopy to Golf umbrellas. Plus when collapsed, these are the ideal height to assist walking and support the user. 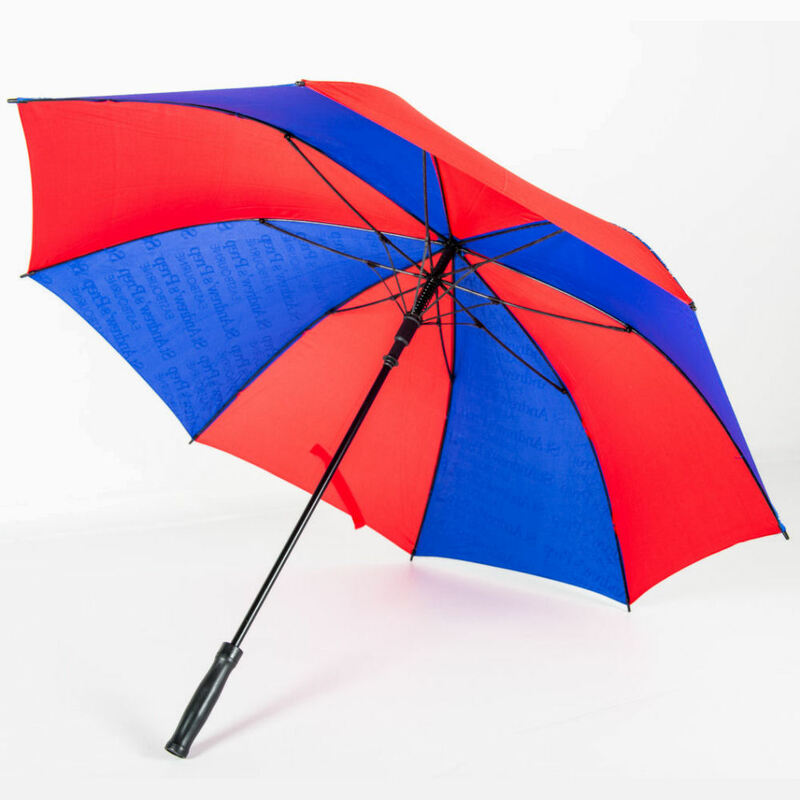 All of our branded umbrellas are custom made, which allows us to easily – and cheaply – add different finishes, umbrella components or printing options to your personalised umbrella. As part of our service we are on hand to advise and guide you so if the number of options are a bit overwhelming just give us a call. We would be happy to offer some friendly guidance on what would work best for your brand as well as within your budget because it is important to us for you to get your branding effectively communicated.